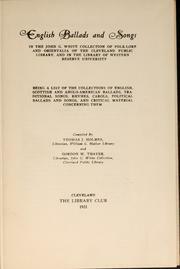 1 edition of Alphabetic catalogue of the English books in the circulating... found in the catalog. Add another edition? Are you sure you want to remove Alphabetic catalogue of the English books in the circulating department of the Cleveland public library. from your list? 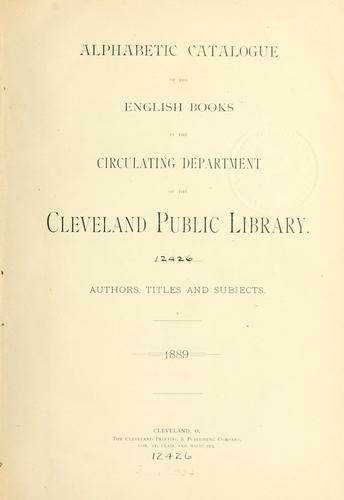 Alphabetic catalogue of the English books in the circulating department of the Cleveland public library. 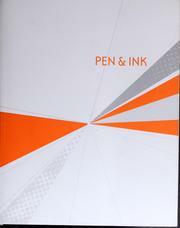 Authors, title and subjects. 1889. 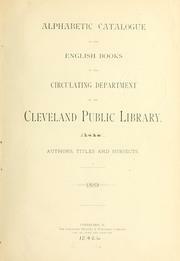 Published 1889 by Cleveland printing & publishing company in Cleveland O .
viii p., 2 L., 1407 p.
More by Cleveland Public Library. January 7, 2009 Created by ImportBot Initial record created, from Internet Archive item record.